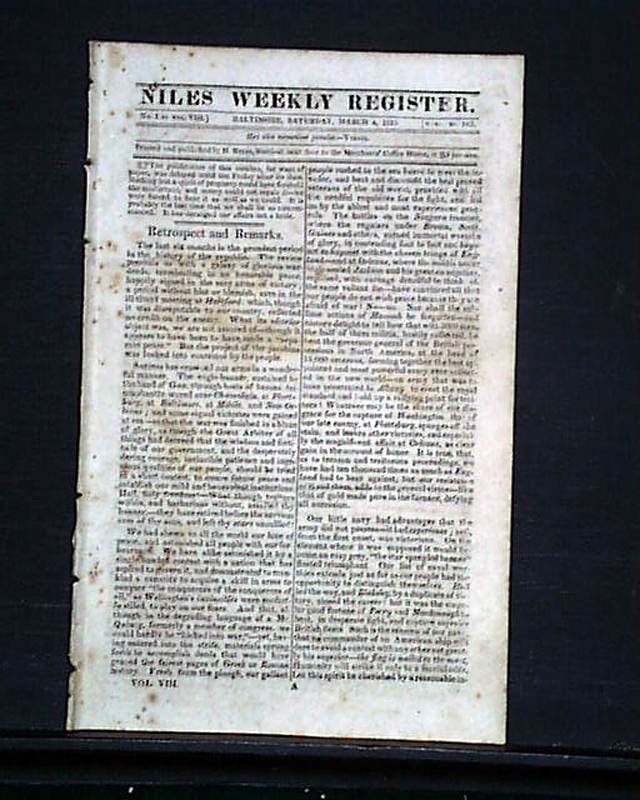 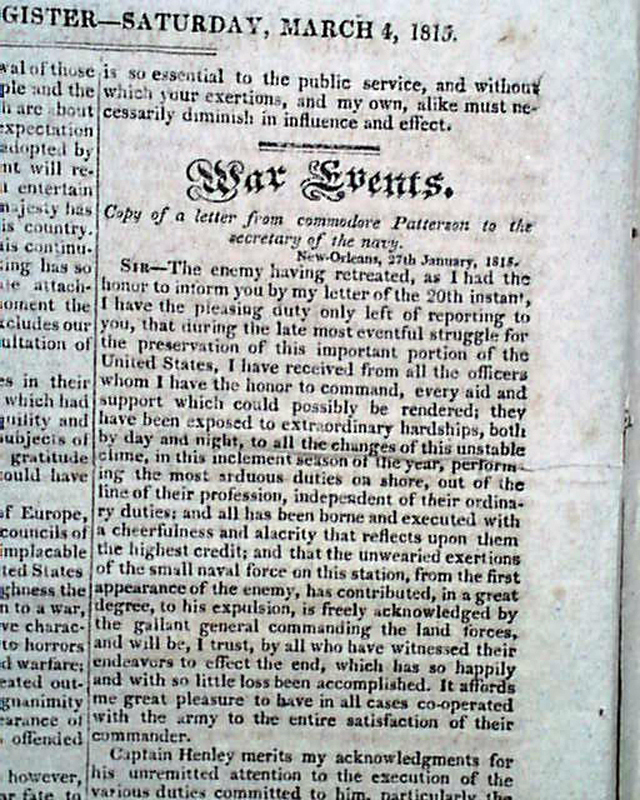 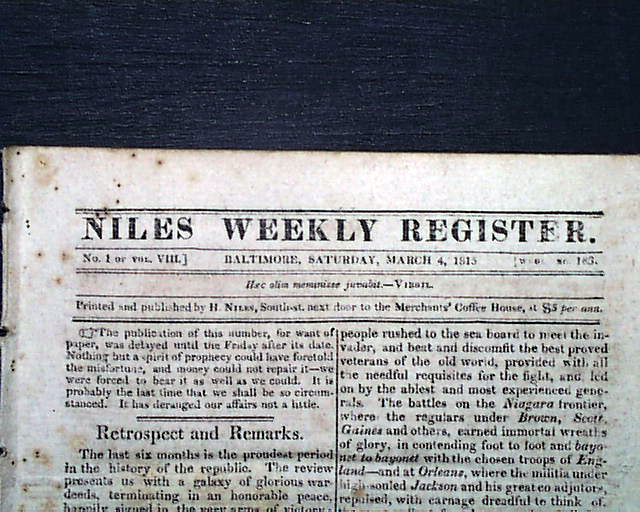 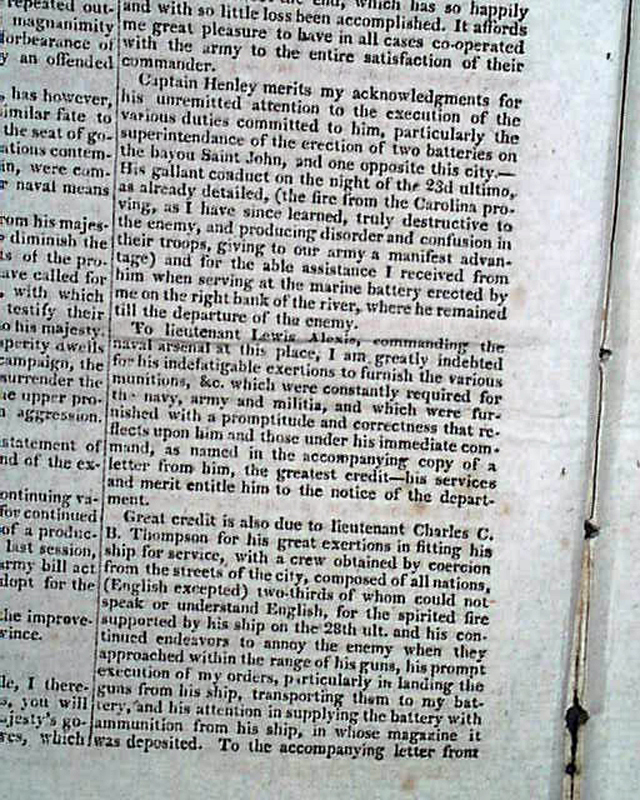 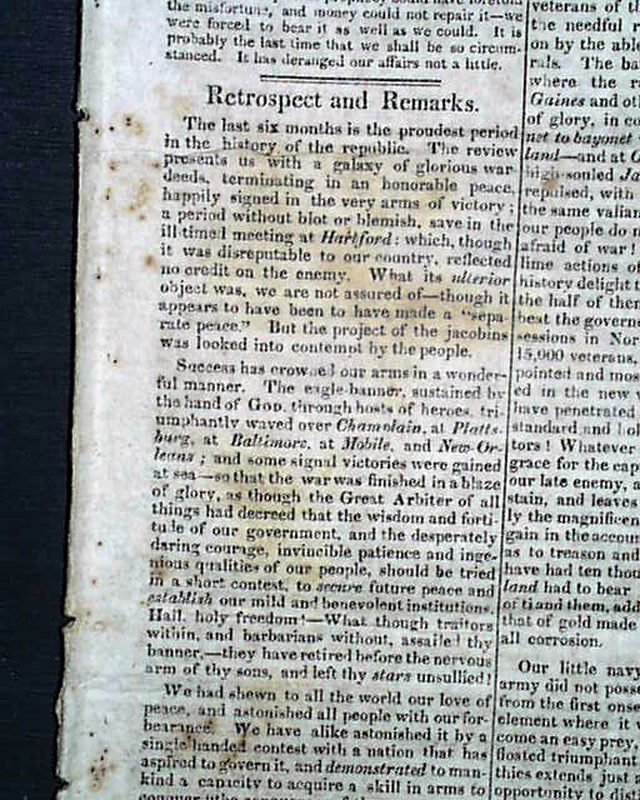 NILES' WEEKLY REGISTER, Baltimore, March 4, 1815 The issue begins with a great editorial concerning the end of the War of 1812, beginning: "The last six months is the proudest period in the history of the republic. 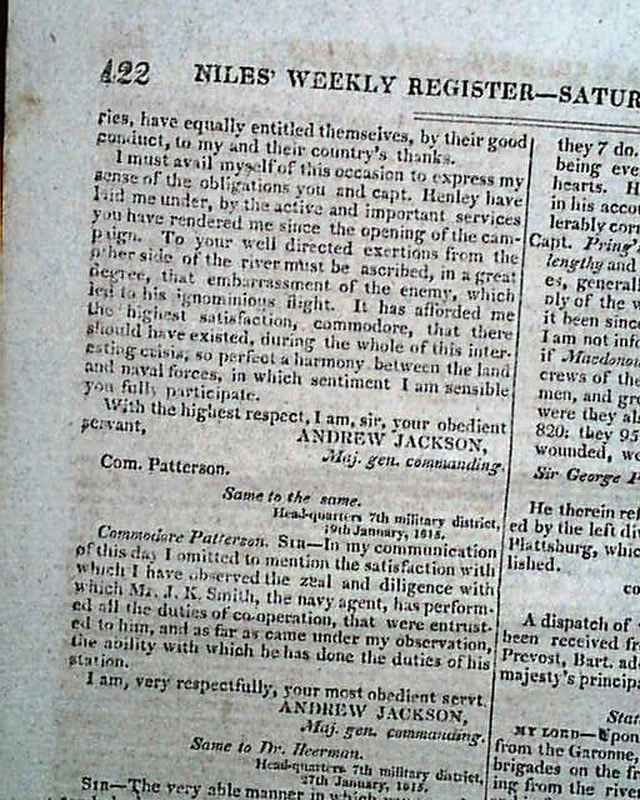 The review presents us with a galaxy of glorious war deeds, terminating in an honorable peace, happily signed in the very arms of victory..." with much more, taking all of pages 1 & 2 and over half of page 3. 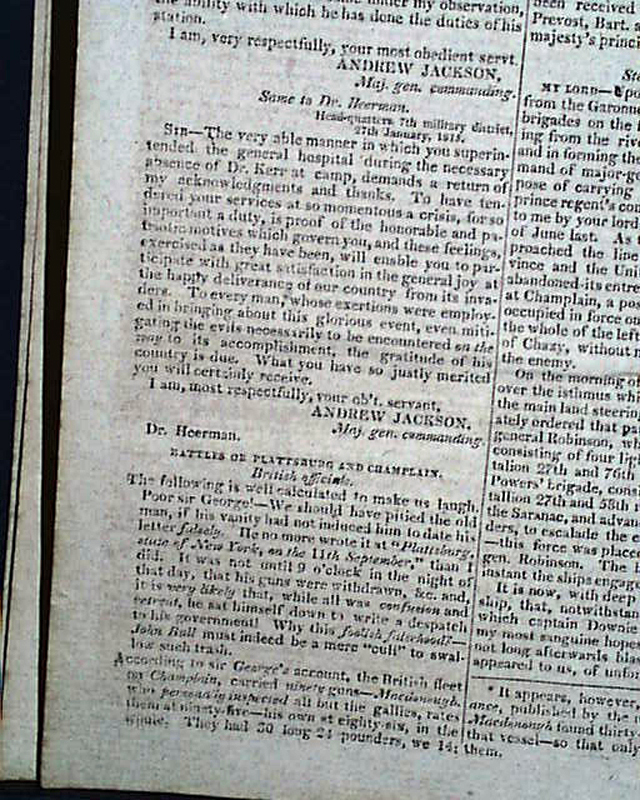 Sixteen pages, 6 by 9 3/4 inches, foxing, otherwise in good condition.